If there’s one thing we can all agree on it is that our time is very limited. 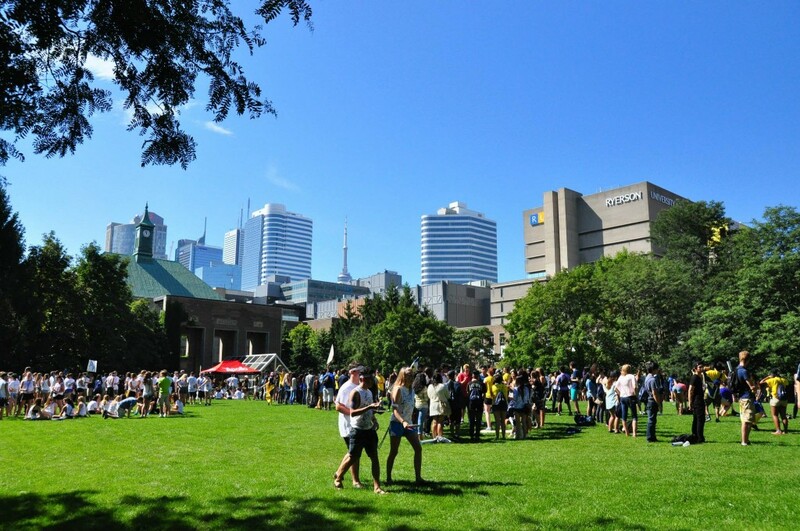 On top of that, being a student in the heart of downtown at Ryerson University can be jam packed with classes, commuting time, and assignments, essays, labs, and problem sets. So I guess it’s fair to say that having so much going on, one should really make the best of their free time. I speak from experience when I say this. I spent the first two years at Ryerson just grinding through classes and homework on repeat until I was able to grab a breather at the end of the semester. I’m proud to say that I’m sitting at a nice 4.0. But, a major aspect of my life as a student was missing: positive social interactions and real life experiences. All of that changed when I attended my first leadership conference in October of 2014. It opened my eyes to what Ryerson really had to offer and the potential it carried to help me grow in Toronto. When I went to the event, I had no idea what to expect and didn’t know a single person. All I had was the email invite and a brief description. After such a great event, I was still experiencing such a dichotomy of feelings. On one hand, I had been through such an enriching event. On the other, I wished there was someplace where events like this one were all neatly compiled and advertised in a single place where I could look through and take my pick of events and organizations that fit with my interests. At the time, the best bet students had was to go through all their emails and roll the dice on what event or club to join. But that’s all about to change! On August 10th, Connect RU launched, providing students with a central place to find events, get engaged with clubs and organizations, and track their involvement on campus (for some pretty great prizes, I might add). Start finding ways to get involved on campus with a few simple clicks. Visit connectRU.ryerson.ca to get started. So, you now have hundreds of options to choose from. Are you looking to join a student club or work with your course union? Maybe you want to randomly pick an event every week and trying something new? There’s a convenient search option where you can start typing in your interests and the system will filter the results for you to pick from. Connect RU is the central hub where you can find all the groups, organizations, volunteer opportunities, and event listings around campus. Best of all, you can customize the system to specifically cater to your interests. Connect RU is a great way to add to a great education to be better prepared for an intensely competitive workplace. Get to know yourself, hone your talents and get a leg up on the competition. With so many choices, it’s important that we take some time to invest in our interests and see where it leads. Get involved and engaged on campus! Sign it to ConnectRU at connectRU.ryerson.ca with your Ryerson login today!